In 2013, J.D. Scott became part of the team at A Book’s Mind as a Publisher. 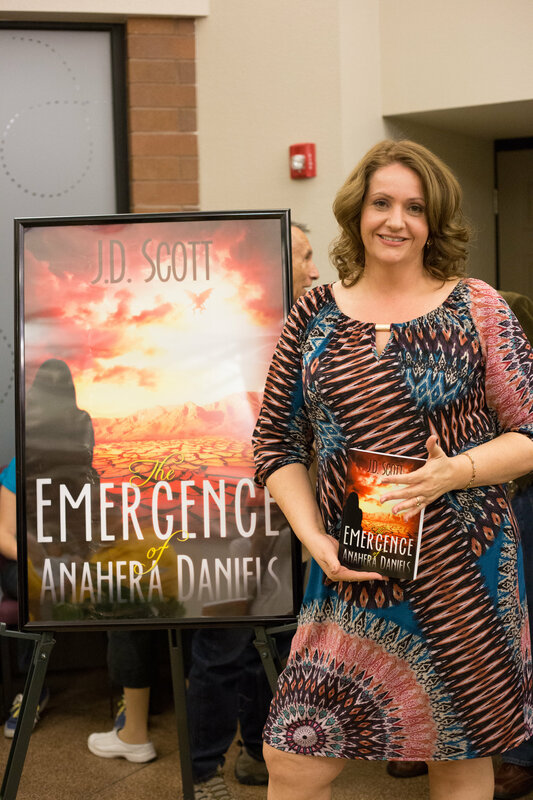 She enjoys working alongside writers, helping them fulfill their dreams of becoming published authors. J.D. Scott was the organizing member of the women’s writers group, Abba’s Writers, in Phoenix, Arizona from 2010 to 2015. She led, instructed, and taught both critiquing and story development to its members. Before being bit by the writing bug, she spent 20 years working with children as a nanny, mentor, camp counselor, and youth group leader. With a heart for today’s youth, she set out to write books that both entertain and inspire them to rise above the current culture and see their true value. J.D. Scott is the author of the YA trilogy, The Disillusionment of Anahera Daniels, The Emergence of Anahera Daniels and The Restoration of Anahera Daniels as well as the non-fiction novelette, The Gift Rarely Opened: A Guide to Spiritual Gifts as well as several other individual publications. J.D. Scott lives out her life’s passions of writing, publishing, and counseling/mentoring in Phoenix, AZ. Recently your Dad left the second book for me to read and I wanted to send my thanks for sharing with me your recent novel. Your Dad and Lana bring Holly to play with my dog Buddy(Holly’s brother). I have enjoyed reading the first one and look forward to reading the second. Thank you again. I’m so glad to hear that Susan. Thank you. Leave me reviews on Amazon, and let me know what you think!